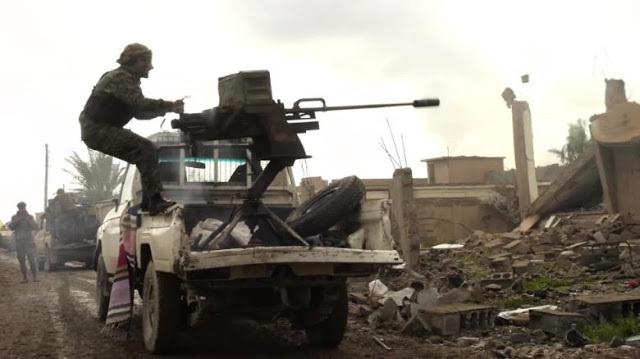 TRANSCEND MEDIA SERVICE » Syria: Is US Fighting ISIS or Liquidating Assets? 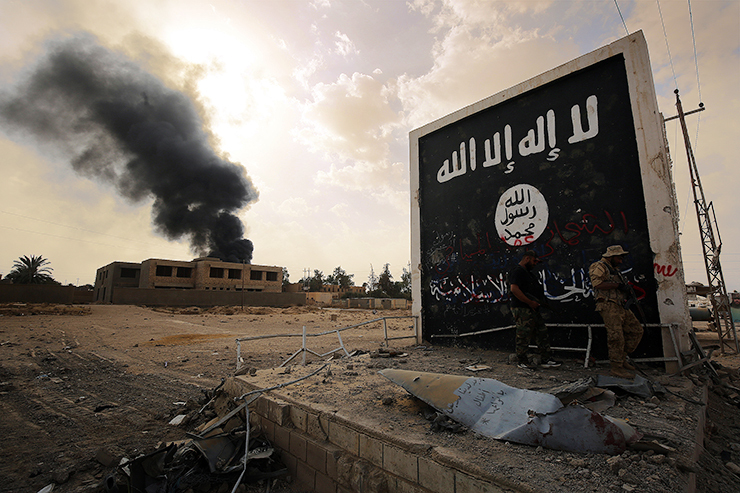 Iraqi fighters of the Hashed al-Shaabi (Popular Mobilisation units) stand next to a wall bearing the Islamic State (IS) group flag as they enter the city of al-Qaim, in Iraq’s western Anbar province near the Syrian border as they fight against remnant pockets of Islamic State group jihadists on November 3, 2017. 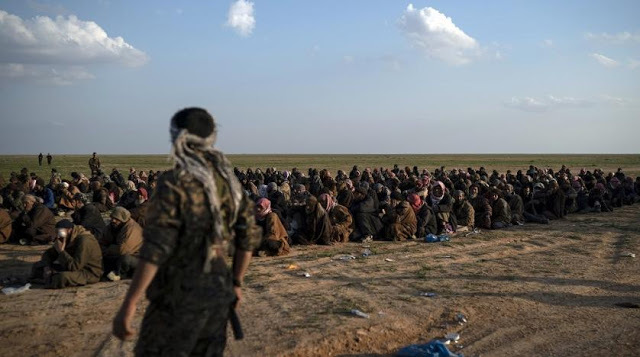 30 Mar 2019 – That the “final stronghold” of the self-proclaimed Islamic State (ISIS) resides in US occupied territory in Syria says it all.